This durable dust pan snap-locks in use and releases to dump or carry. The true edge of the pan conforms to the floor's surface for better dirt pickup. It measures 10 3/4" x 12" x 36 3/4". Handle hanger hold for easy storage. 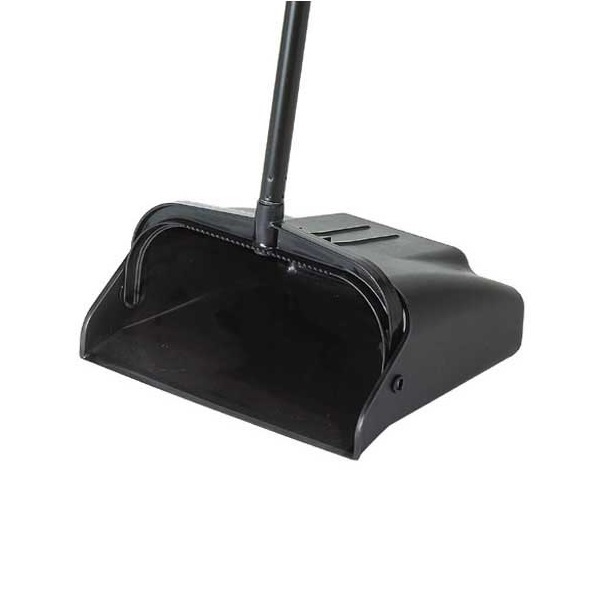 The serrated yoke can be used to "comb" debris from the lobby broom.